Buy Your Kindle Copy of The Leader of Oz Today! Click Here to purchase for Kindle! Listen to an interview about the book! 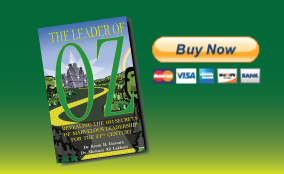 Buy Your Hardcover Copy of The Leader of Oz Today! Now Available in Hardcover and for Kindle!